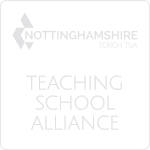 NUSA is a Nottingham city comprehensive academy, with a pupil admission number of 150. That means there are up to 150 pupils in each of the Years 7 to 11. We split these 5 school years into a two year Key Stage 3, and a three year Key Stage 4. A smaller number of pupils then choose to stay at NUSA for their post-16 education, in Key Stage 5. Working hard enables pupils to fulfil their potential, and hence fosters self-knowledge, self-esteem and self-confidence. It connects pupils with their own personal and academic development, and teaches them that everyone can achieve if they are prepared to apply themselves. Through this process of application and achievement, pupils also learn the importance of respecting the rights of other pupils to learn in a calm, focused and supportive atmosphere. The importance of "being kind" to others is a fundamental human value that all children should be taught. At NUSA it starts in and around the classroom, with school rules that are based upon protecting pupils’ well-being, and their rights to learn. Pupils are encouraged to adhere to a simple set of expectations that are linked to a framework of rewards and sanctions. Adherence to this framework helps pupils to develop their ability to distinguish between "right" and "wrong". This is an important part of the way in which we prepare our pupils for life as young adults in society. On occasions when a pupil’s behaviour fails to meet our NUSA expectations, staff endeavour to explain the relevance and importance of our academy rules, and apply sanctions in a consistent and fair manner. It is important that our pupils learn to understand the impact of negative behaviour on their own progress and that of others, and hence accept their responsibility as an integral part of any learning environment. 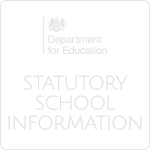 All schools are charged with developing pupils’ knowledge and understanding of spiritual, moral, social and cultural issues and themes. Subject leaders complete an SMSC audit of their taught curriculum, and identify opportunities for teachers to engage pupils in wider debate. Our staff are expected to promote a sense of social conscience, empathy and appreciation of the diverse nature of modern Britain. Some elements of SMSC education are delivered through bespoke activities such as Personal Development lessons, theme days, assemblies, charity events, tutor set activities and the work of our student council. These activities provide pupils with opportunities to learn about their rights and responsibilities in society, based upon the ethos of "Work hard, be kind". Our students are encouraged to regard people of all faiths, races and cultures with respect and tolerance. Students have a weekly assembly on these themes. Our school day starts at 8.45 a.m, with a 15-minute tutor period, and finishes at 3.20 p.m. Pupils have a 15-minute break in the morning, and a 50-minute lunch break. In Years 7 to 11, pupils are taught thirty-four 45-minute lessons per week. In some subjects, some lessons are ‘doubles’ that last 1-hour 30-minutes. 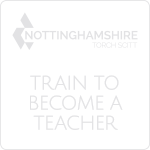 This allows teachers to plan a range of different activities, including those of a practical nature, and allows greater flexibility and more effective use of our resources. At the end of Year 8, pupils choose which E-bac and Foundation subjects they would like to continue in Key Stage 4. All of our pupils continue to study English, Maths and Science through Key Stage 4, and they all participate in core PE lessons every week. At the end of Year 11 all pupils take GCSE examinations in English Language, English Literature and Maths. Science is a little more complicated: some pupils take separate GCSEs in Biology, Chemistry and Physics, while other pupils take the ‘Trilogy’ GCSE award. This course comprises some of each of the three separate sciences, but is equivalent to two GCSEs. Each year a small number of pupils take a BTEC or entry level science qualification in addition to their GCSE examinations. All of our pupils are given information, advice and guidance regarding which option subjects they should consider for Key Stage 4. Options guidance features strongly in our Personal Development curriculum from the start of Year 8, and the process itself starts in the spring term. Tutors play a key role in the process, interviewing pupils on a one-to-one basis, before meeting them again with their parents. Pupils are helped to consider not only their current strengths and areas of interest, but also the opportunities that combinations of courses will present. To this end we promote the full e-bac curriculum as the ‘gold standard’ for those pupils looking to pursue an academic pathway into post-16 and higher education. We ask that all pupils follow at least one e-bac option from Geography, History or Spanish to ensure that all pupils engage with a challenging suite of GCSE courses that they can supplement with a wider range of courses from our foundation subjects. We currently have a relatively small post-16 provision, which focuses on providing vocational pathways into further education or employment. We aim to offer meaningful pathways that complement the local offer for pupils as they finish Year 11. NUSA Post-16 has proved to be particularly suitable for students who want to benefit from their well-established relationships with staff, and who may require a mixture of level 2 and level 3 courses in Year 12. Many of our students also continue to study English and or Maths at level 2. We are proud that a growing proportion of our pupils with SEND are choosing to stay with us at NUSA because they value the support and care we provide. We are also proud to provide a stepping stone for some students who benefit from one more year with us before they are ready to move onto apprenticeships or other colleges after one year. Our post-16 students have a weekly personal development lesson, an opportunity to participate in PE, and support from our Post 16 pastoral team. They also have opportunities to work with younger pupils as literacy mentors, gain qualifications in first aid and British Sign Language, and to take on paid responsibilities around the academy. We endeavour to provide all of our post-16 students with work experience linked to their courses.